When a car has been parked for as long as our 1963 MGB Roadster, there’s bound to be a little rust. In fact, rust is a normal part of a car’s wear and tear, and this beauty was no exception. On the MGB roadster, due to the lack of drainage provided by the factory, this car has a hard time getting rid of debris and moisture that gets trapped around the front fenders and the rear dog-legs. 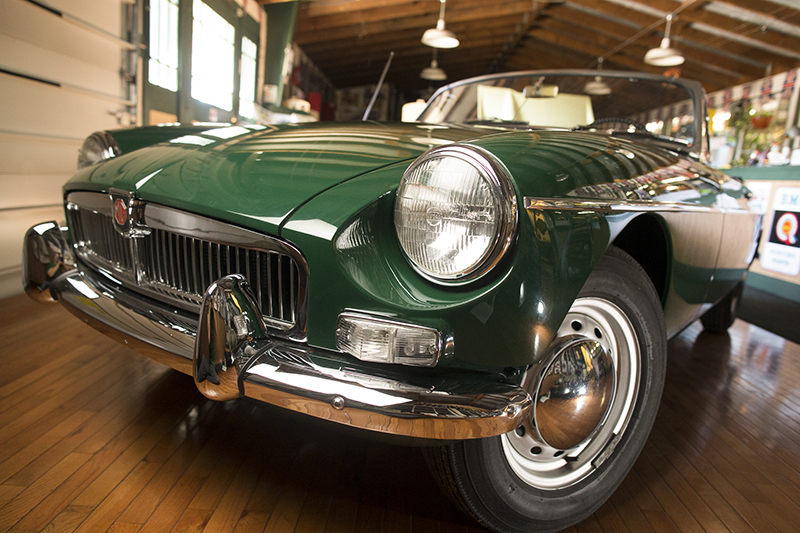 This is typically where you’ll find the MGB needs a little “rustoration”. As you know by now, our MGB didn’t get to drive for very long before crashing and promptly being stowed away for about 39 years. In 2000, this beat up British sports car founds its way to our garage. Some may have seen it as a lost cause, but our hands – and hearts – were itching to fix this beauty up. With only 15,000 miles we couldn’t wait to take on this challenge. Cracks, scratches, tears, rust and all. After all, it’s what’s on the inside that counts, and on the inside she was all original. Let’s face it, she was all original inside and out, and she was beautiful. You just had to use your imagination. Everything is original, right down to the Dunlop Gold tires. Despite the dry climate here in Denver, saving many British sports cars from too much rust damage, too soon, but in every British sports car, a little rust will gather. At Sports Car Craftsmen we’ve seen our share of rust and we know how to treat it and do treat it right. Rust was the least of our problems. If you want to be authentic and original, you need to be patient, and since we had to strip this car down to build it back up, getting out the rust was just another step in a very long and incredibly rewarding restoration project. With most MGB’s that are driven regularly, dirt, moisture and other grime will get stuck and ultimately lead to rust. It is a common repair, and after what we’ve been through with our own MGB, we can easily handle the normal gathering of rust. And if it does require a whole new part, we’ll help you find it, or make it right here in the shop. No problem is too big for us. Let us treat your British sports car like it deserves to be treated. 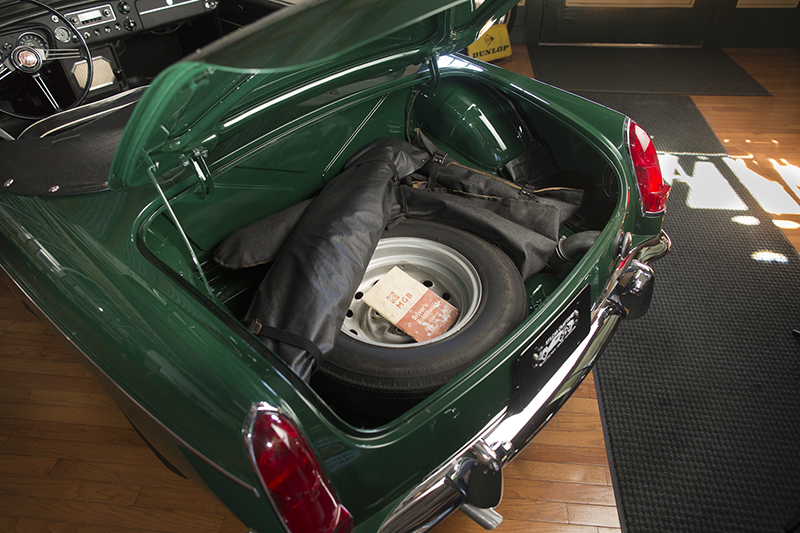 When it comes to restoring classic British sports cars we never cut corners. At Sports Car Craftsmen have the most skilled mechanics and engineers in the British sports car industry. We have years of experience restoring classic British cars, and if there’s one thing we’ve learned it is that the best way to get a quality replacement body part for your car, is for us to make it ourselves in our own shop. Luckily we have a world class fabricator on hand. It may take a little more time and cost a little more money, but for the MGB enthusiasts, this is a small price to pay. You won’t find cheap solutions at our shop. No quick fixes hidden by pretty pain jobs. We treat each car like it was our own. If you want proof, just stop by and check out the most authentic, fully restored 1963 MGB Roadster around today. Love the restoration project! Great job Paul & team.